You would have to be a very special person to never disagree with a work colleague! Whilst most of us prefer working in a harmonious workplace, working in an environment where everyone always agrees is, in fact, quite dangerous. There is the much quoted example of the NASA engineer who disagreed with the launch of Space Shuttle Challenger back in 1986, because he had severe concerns over safety. But because of the culture at that time, his failure to ‘toe the line’ and support the launch was not taken seriously and such was the pressure of the world watching and waiting, the launch of the Space Shuttle went ahead. With disastrous and tragic consequences. In this case the Challenger launch team decided to politely ‘agree to disagree’ with engineer Allan MacDonald. With the benefit of hindsight we now know that this was completely the wrong way to handle this particular clash of views. Had the NASA team taken the opportunity to listen closely to the minority view, the lives of the seven astronauts potentially would have been saved and the multi-million dollar spaceship might not have been blown to smithereens. Sometimes people who disagree with everyone else are seen as trouble-makers, disrupters…blockers. It can be difficult to see someone who is blatantly disagreeing with our own point of view as nothing less than a pain in the neck, or worse! But reinforcing our own position and repeating our own point of view in an attempt to ‘win round’ the other person can deepen the disagreement, cause entrenchment of views and alienate the parties involved. If we can learn something from the Space Shuttle Challenger disaster it is that ‘agreeing to disagree’ can sometimes be equally as problematic. Simply not addressing the difference of views can lead us to avoid looking at issues that need to be investigated. We know that ‘difference’ leads to advances in ideas and performance. Where there are different views there are often clues as to where improvements need to be made. If ‘agreeing to disagree’ is potentially dangerous, and if continuing to try and persuade the other of the merits of our own point of view is potentially equally damaging, then our challenge is to find a different approach. In conflict resolution training I use a very simple but powerful approach to navigate situations where views are clashing. The approach is centred around ‘preserving the relationship’. If those in disagreement place their focus on preserving the relationship then it is much easier to discuss differences and to take the heat out of clashing views. An intact relationship is vital for business and communication to take place. A damaged relationship can be almost impossible to heal. Preserving the relationship creates a strong base from where it becomes much easier to hear different views, take on board different opinions and to deal with the facts rather than the emotions at the centre of the disagreement. 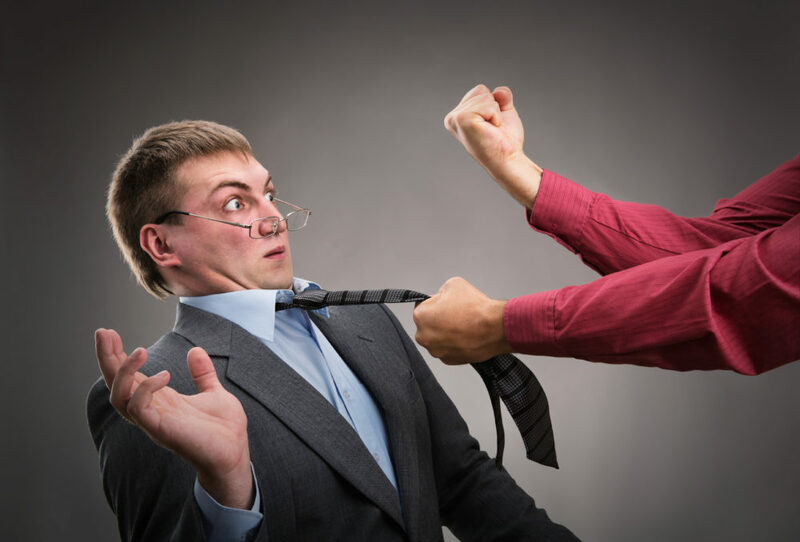 Let us know what kind of approaches you use at work when people’s views clash. Remember, just because the view is in the minority, it doesn’t mean it isn’t worthy of being heard. It just might be vital to your business’s future success, or survival. If you liked this article you might be interested in this workshop “How to Manage Conflict”.